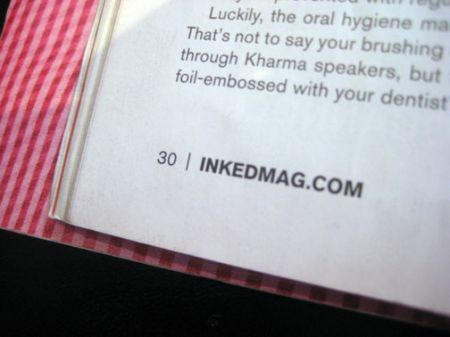 ok. this being NYC, I recently had occasion to drop by a doctor’s office on the Lower East Side, and being such, instead of PEOPLE MAGAZINE lying around for bored waiting clients – the mag of choice was – INKED !! a tattoo chronicle. with nothing better to do – and bored out of my mind – I flipped through and what do I see on page 30 – the Ghost of Xmas Past !! 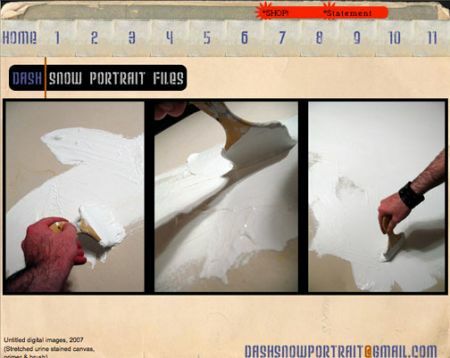 a young Dash Snow. no mistaking the face – nor – the DAY OF THE DEAD ink. 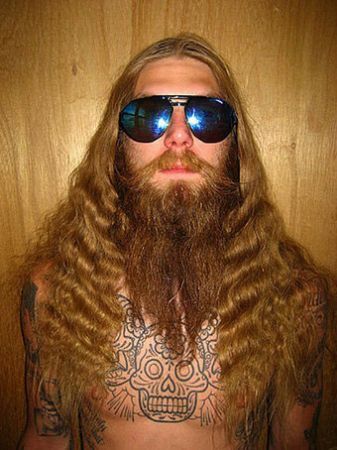 it was used as a ‘stock’ photo in an ad – for tooth cleaning utensils for hipsters !! 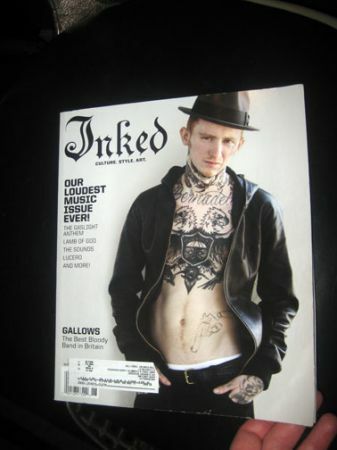 the good people of INKED were totally clueless as to who they had in the photo. there was no name, there wasn’t even a photo credit. 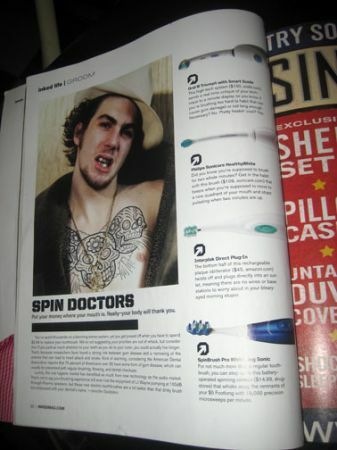 Dash must have sat for some ink photog who sold his image – I guess without permission – duh – to shill electric toothbrushes. or maybe they just lifted it off the net. watch out – maybe your Facebook photo will be – ‘orphaned’ – next. 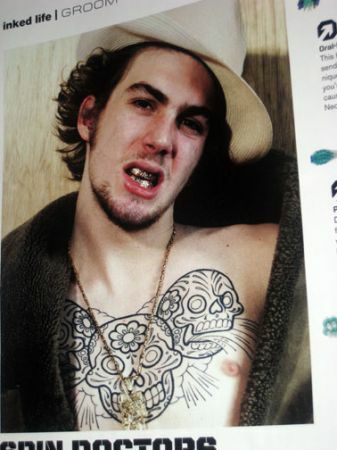 he is wearing a grill set – get it ? 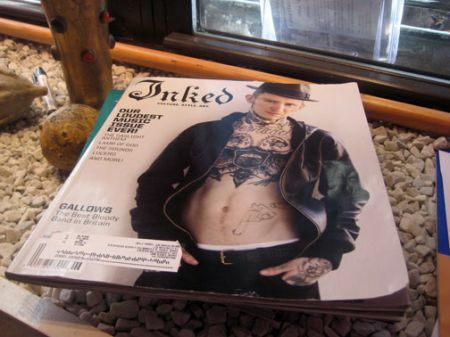 of course the ink – is the best drawing ever seen on skin, no doubt. but one good thing, he is face-to-face – in mag world ghost life – with a hot babe – forever. 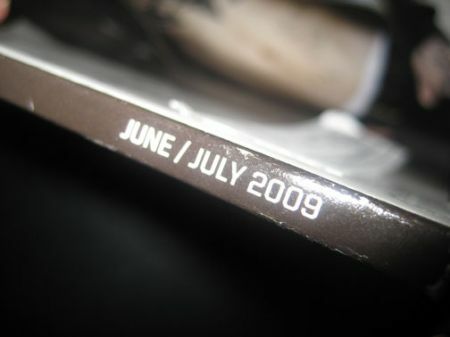 it’s on page 30 – someone else can dig for the dirt. it was more than – enough, to stumble upon the ghost, for me. though if the DIA FOUNDATION ancestors actually set their high-priced lawyers on the trail – yeah – I’d like a finder’s fee. duh. kind of like Dash’s way – of supporting the site – from afar. fat chance. but you never know – so I’m putting it in writing. they actually asked for my archival pix – for use – for free. another stingy story. what else is new. it was just sitting there. waiting to be set free. 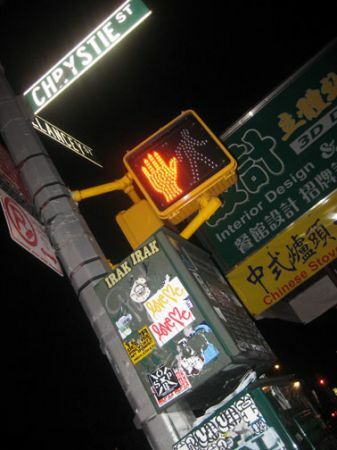 and, then a little further on, at the corner of BOWERY & SPRING, this new tag work – has to be for DASH. and, what’s that . 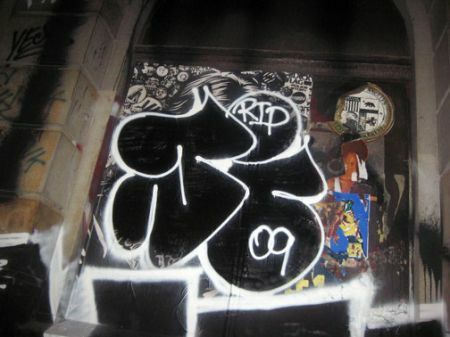 . .
read more about: IRAK & DASH & SNOW & DEATH/GAWKER !! GAWKER has a bad habit – of not posting photo credits. funny. how they think electric toothbrushes will go down well with ink aficionados !! must be that drill sound. 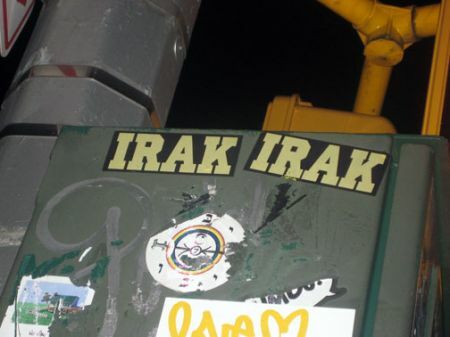 want more pix – IRAK – the website – has been co-opted, but this is still a good link. and, dudes. don’t eat the snow. white or yellow. bad fer ya.